I love going to the movies, and I really enjoy watching the previews before the movie. Those previews generally do a good job of letting me know whether or not a given upcoming movie is something I’m going to want to watch. I see plenty of previews for movies that I will never see, but knowing what not to waste your time and money on is as valuable as knowing what is worth your attention. As with movie previews, I eagerly await the coming of the agendas for both City Council and Planning Commission meetings. Redwood City publishes City Council meeting agendas on the Thursday before the Monday evening meeting, giving me plenty of time to look over not only the agenda itself but also the supporting documents for those items that spark my interest. Sometimes nothing on the meeting agenda holds my interest, but that is rare. Usually there are at least one or two items worth keeping an eye on, and every once in a while there are a whole slew of items that catch my interest. The agenda that was sent out last evening is one of the good ones: it has a number of items that interest me. Although a couple of them are bundled under the “consent calendar” and thus will likely be dispensed with through a single vote and with no comment, the supporting documents, as is often the case, are rich with interesting detail. And as consent calendar items are rarely rejected, I’ll be sitting in the council chambers watching as they are likely supported by a unanimous vote of Redwood City’s Council. Yes, I plan to be there in person. While I will often watch a meeting from home — usually the next day — sometimes the meeting seems substantive enough that it is worth being there in person for. For me, next week’s meeting falls into that category. So what’s so interesting about the upcoming meeting? Well, one of the consent calendar items and one of the public hearings are in support of a couple of important affordable housing projects. I’ve mentioned the Hallmark House Apartments seemingly countless times on this blog, ever since a fire put it out of commission back in 2013. I periodically walk up and down Woodside Road, and whenever I do I take a long look at the place, hoping that I’ll see some sign of reconstruction. Just about every time, I’m disappointed. These days, though, although I know that I’ll continue to be disappointed for a little while longer, there really does appear to be an end in sight. At Monday’s City Council meeting the council will hold a brief (I expect) public hearing for a bond issue that will raise the $25 million needed to purchase and rebuild this 72-unit affordable housing project. I expect that the hearing will be perfunctory, with little or no public comment (and if there is any, it likely will be entirely in support). Given that the city will bear no liability with respect to the issuance of these bonds, there is little reason to object. And who wouldn’t want to get this valuable part of our affordable housing picture out from under its wraps and back online? Assuming that the hearing proceeds with no hitches, the folks behind this project expect to secure financing in March and begin construction shortly thereafter — just after they obtain approval and building permits from Redwood City. Plans for the building’s reconstruction are already under review by the city’s Building Division, and I know that there is tremendous support within the city to get this project moving, so I hope to be able to report actual progress within a few short months. On the consent calendar is an item that directs city staff to negotiate agreements that will provide $6 million in future Redwood City affordable housing funds to two projects that hope to break ground later this year. Of the $6 million, $3.5 million would go to the 125-unit apartment building already approved for 353 Main Street, a project in which every single for-rent unit would be affordable, either at the Low or at the Very Low level. The remainder of the funds — $2.5 million — would go towards the 20-unit affordable condominium development planned by Habitat for Humanity for the incredibly tiny lot at 612 Jefferson Avenue. Although Redwood City does not actually have the $6 million in assistance in hand, they do have a nice chunk of it — more than $715,000 — in the bank and are pretty confident that the remaining funds will be added to the city’s coffers before they are actually needed. Some time ago Redwood City imposed affordable housing impact fees on certain new projects, and also imposed “transient occupancy taxes” on AirBNB units within the city. All of those monies go into the affordable housing fund. 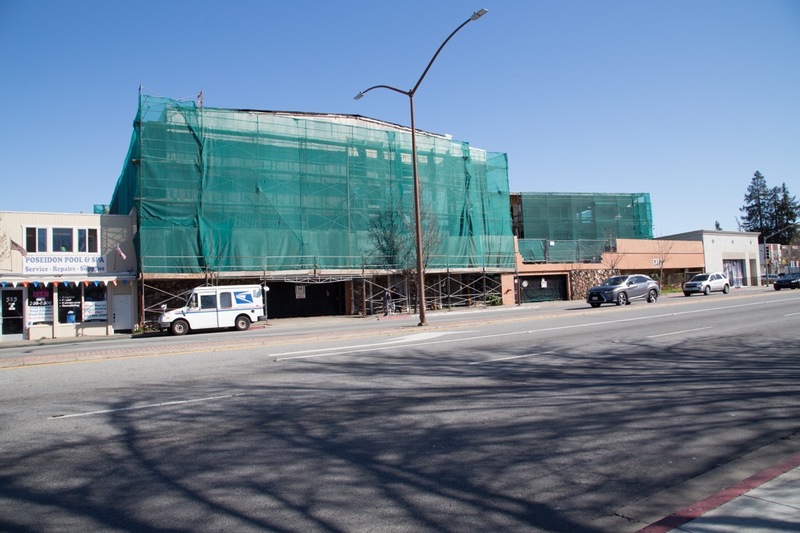 Redwood City anticipates receiving more than $5 million in affordable housing impact fees in 2019 alone, with the bulk of these funds — over $4.3 million — coming from a single project: the 1548 Maple Street project. All together, the city expects its affordable housing fund to reach some $6.3 million by the end of 2019, which is more than enough to help fund these two desperately needed affordable housing projects. Those two City Council meeting agenda items alone would be enough to get me to attend the meeting, but there’s more! The other two items that I’m particularly interested in don’t involve affordable housing, but they interest me nevertheless. The first is the third public hearing on the city maps that will define our City Council election boundaries, at least for the November 2020 election. The city is currently in the process of dividing the city up into seven equally sized, but cohesive districts. Once district maps have been drawn that satisfy all of the legal requirements, in future City Council elections we Redwood City residents will no longer vote for some number of City Council candidates drawn from the city at large, but will instead vote for a single candidate from a pool who reside within our particular district. This is being done in response to some changes in election law at the state level, and to a lawsuit that is forcing elective bodies across the state to comply with this new procedure. Whether or not there is real merit in switching to this new system, it appears that we’ll be doing so. But we at least have an opportunity to help draw the maps, and the public hearing that will be part of Monday’s City Council meeting is a step in that process. Once the maps have been drawn, in March 2020 the city will hold a vote to revise Redwood City’s charter and make this “by-district” election scheme the new way of doing things. Then, assuming all goes according to plan, the November 2020 election will be the first in which we elect City Council members using this new system. There is a lot here to think about, and the city really does want to hear from us as to how the maps are to be drawn, so if this piques your interest and you have yet to weigh in, do read the blog post put out by the city on the subject: it has all you need to know about what is going on, and why, and how you can contribute. The last exciting item on the City Council meeting agenda concerns a project that I wrote about just last week: a public hearing on the Harbor View project’s Environmental Impact Report (EIR). I expect that this item may well take up the bulk of the meeting: a number of people will likely get up to comment on the EIR during the appointed time. As I noted in last week’s post, however, for now the city is looking for comments on the EIR itself, and not on the project as a whole: once the EIR has been finalized the project will be considered at a later date, giving the public ample opportunity to weigh in on the project itself. But at Monday’s meeting I expect the feedback and discussion on the EIR to be quite enlightening. City Council meetings are interesting things. Especially when you view them online (either live, or after the fact: they’re recorded), they can be a bit like reality TV, but with a twist. In the case of a reality TV show, while you may root for one or more of the participants, the actual outcome doesn’t affect your life one way or another. In the case of a City Council meeting, however, the decisions made can have a very real impact on the day-to-day life of the city’s residents. That is why I, a long-time resident, watch them with such interest, and why I continue to report on them to you. As for the agenda, I highly recommend that all Redwood City residents look them over whenever they are published: they act as “coming attractions” for what will be considered at the next City Council meeting (or Planning Commission meeting, if you are interested in development projects within Redwood City). Finally, if you are one of those people who like to plan out their entertainment viewing well ahead of time, I should note that Redwood City maintains a list of tentative items for future agendas, items that are usually assigned (tentatively, of course) to future Council meetings. This list is well worth keeping an eye on; it gives you a “heads-up” about when items of interest may come before the Council. Thanks for all the info and your insights. Do you happen to know the timeline for the Broadway plaza project? They released EIR end of last year and don’t see this project getting mentioned in upcoming City Council agendas. No, the timeline for that project is up to the developer and to the city. But as you note, now that the EIR is done they can officially submit the project to the city and begin having it reviewed. So keep an eye on the City Council agendas (and possibly Planning Commission agendas; although it will require City Council approval, it may well go to the Planning Commission first); it’ll show up eventually. Thank you for keeping us all in the know! I saw a beautiful mural today that I had never noticed before (maybe it’s new?) and thought you would be the perfect detective to track down info about the artist, etc. Head south on Middlefield and you’ll see it on the right between Second and Third Avenue, painted on the side of a building. I was driving so I couldn’t get a good luck but I noticed some iconic scenes of Mexico. I hope you can do some research and post about it! I’ve put it on the list. I’m due for a walk down that way anyway… thanks! Yes, it’s spectacular. I stopped to talk to the person/people doing it when it was just started to be painted. Apparently it represents N. Fair Oaks and its history. Definitely worth detouring to look at (as is the “op art” wall off Fair Oaks Ave. This page contains info on both. Thanks for the link! Nice to know about the other murals as well.